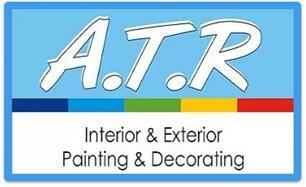 ATR Decor - Painter/Decorator based in Reading, Berkshire. A.T.R Decorating are a reliable, professional, small family run business working in Reading and the surrounding areas. ? With over 30 years’ experience providing quality Interior and Exterior Decorating for both residential and commercial properties. Fully insured and Free Quotations on request. We strive for 100% customer satisfaction. Our reputation is important to us and references are always available to support our high standard of work.